The WARHAWKS of VA 97 were commissioned on June 1, 1967 and assigned to Carrier Air Wing 14 (CVW 14). On May 28, 1968, they departed San Diego embarked on USS CONSTELLATION (CV 64) for the squadron’s first WESTPAC deployment. Beginning in June 1968, WARHAWK pilots proved themselves in combat while flying the A-7 Corsair in strikes against targets in Vietnam. In January 1971, the WARHAWKS airlifted to Norfolk , Virginia and a meeting with USS ENTERPRISE (CV 65), their new home, for her transit around the world to Alameda , California . The squadron’s third deployment began in June 1971, embarked on ENTERPRISE. After returning to Alameda and a short turn-around period, the WARHAWKS once again returned to WESTPAC in September 1972. There they were on hand off the coast of Vietnam to witness the signing of the Vietnam Peace Accords. The squadron’s fifth deployment began in September 1974. This time ENTERPRISE carried the men of VA 97 into the Indian Ocean and then back again to the familiar waters near Vietnam , where their mission was to protect Americans and others fleeing South Vietnam . 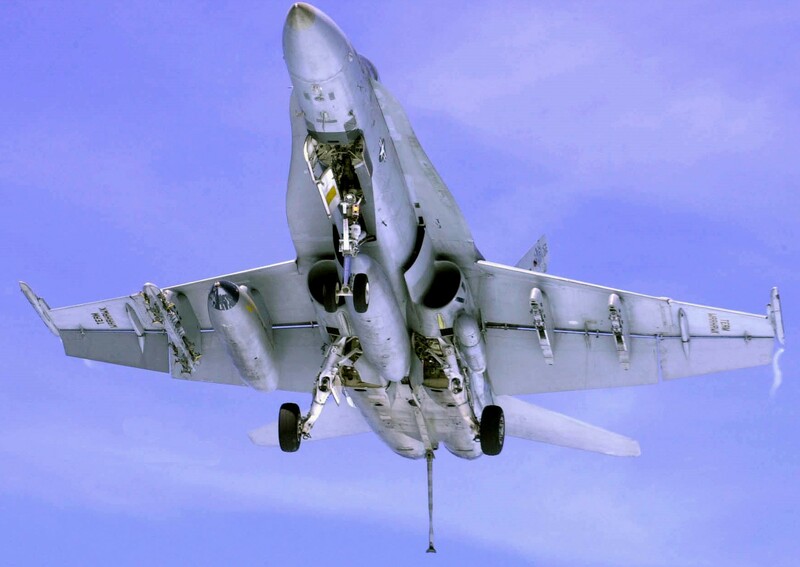 In March 1976, the "Triple Crown" of Naval Aviation fell to VA 97, consisting of the the Admiral Clarence Wade McCluskey Award as the U.S. Navy’s top Attack Squadron, the CNO Aviation Safety Award (also known as the Safety “S”), and the COMNAVAIRPAC Battle Efficiency Award (also known as the Battle "E"). 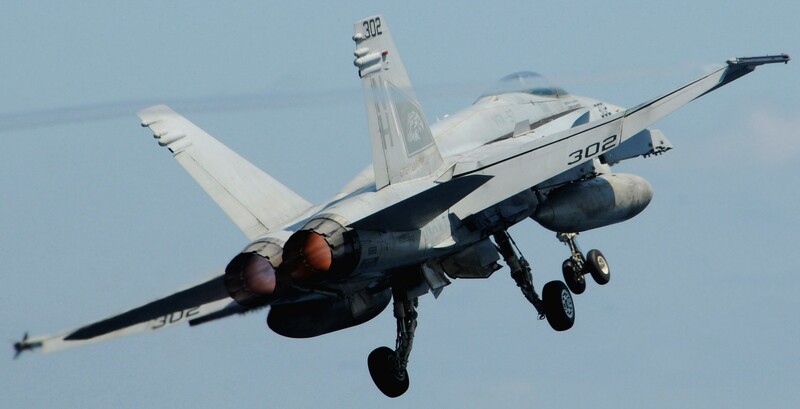 The WARHAWKS began their sixth deployment in July 1976 once again embarked on ENTERPRISE with CVW-14. The squadron’s return to NAS Lemoore in May 1977 marked the completion of five years and over 25,000 hours of mishap-free flying in the A-7, making VA-97 the first squadron to achieve that mark. Their seventh deployment began in April 1978. In May of that year the WARHAWKS, embarked on ENTERPRISE , logged six years and over 30,000 hours of mishap-free flying. 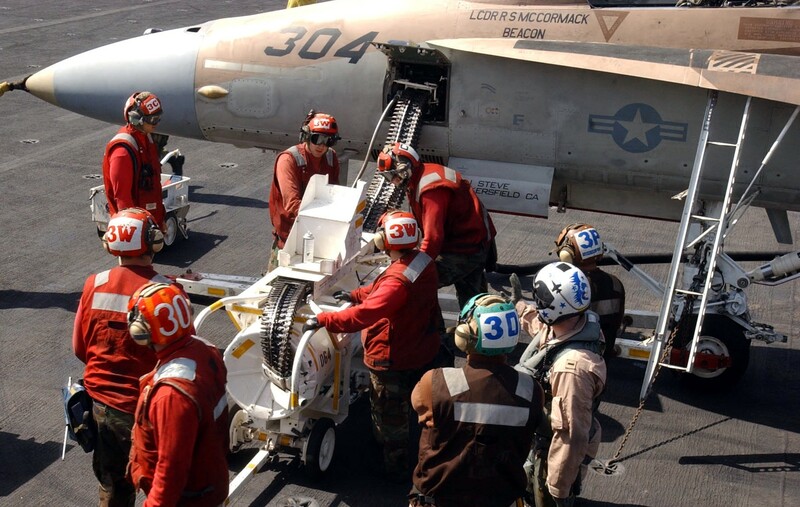 The eighth deployment began in November 1979, embarked on USS CORAL SEA (CV 43). Most of this deployment was spent at “Gonzo Station” off the southern coast of Iran . CORAL SEA was the WARHAWKS’ home for deployment nine in August 1981, and again for deployment ten in March 1983, when they sailed around the world. The WARHAWKS returned to NAS Lemoore and after completing the usual turn-around and work-ups prepared for what would be their eleventh deployment. This time the squadron departed Alameda in October 1984 embarked in USS CARL VINSON (CVN 70), the U.S. Navy’s newest carrier. The WARHAWKS participated in FLEETEX 85, involving five carrier battle groups and sixty-five ships from various countries. The 12th deployment began in August 1986 and added a number of new achievements to the long list. The WARHAWKS operated with the CARL VINSON above the Aleutian Island Chain in the Bering Sea , both on the way to WESTPAC and on the return trip. The squadron returned for another homecoming celebration in February 1987. 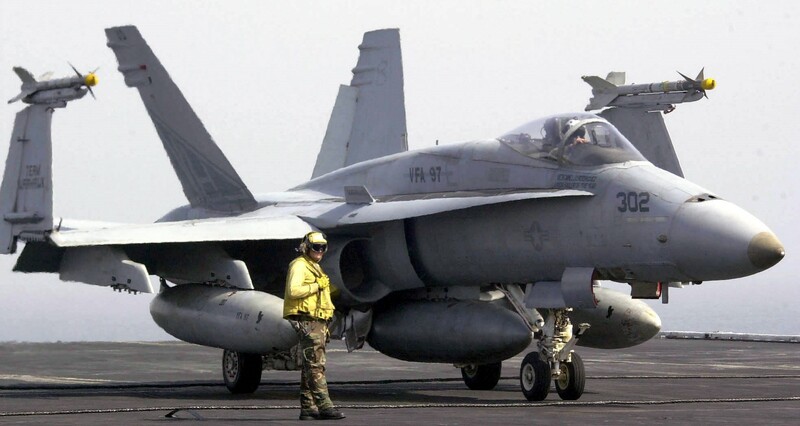 The 13th deployment began in June 1988 and included support of EARNEST WILL convoys in the Gulf of Oman and the Straits of Hormuz, ending with the WARHAWKS winning the Battle Efficiency Award. 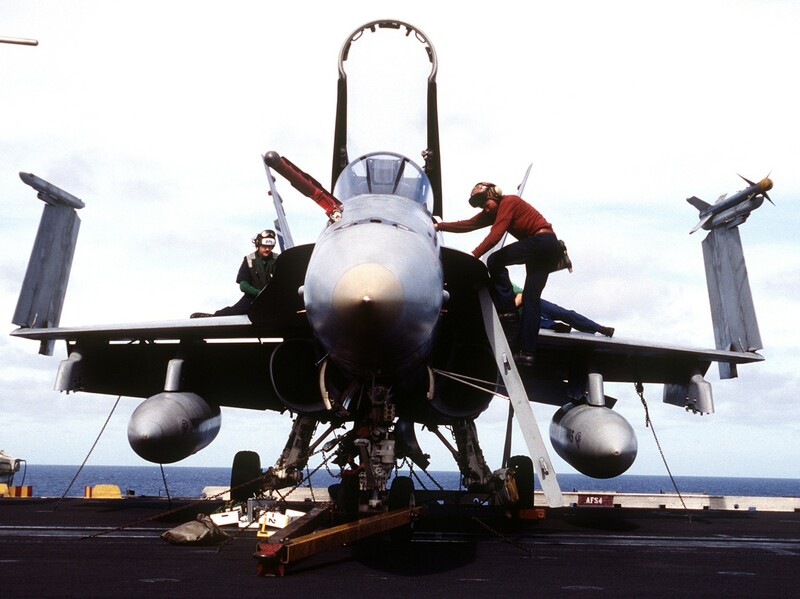 In 1989, the WARHAWKS earned the LTJG Bruce Carrier Memorial Award for Maintenance Excellence and the CNO Aviation Safety "S" were awarded to the WARHAWKS following their 14th cruise. 1990 was a notable year in WARHAWK history as they completed their 15th and last WESTPAC deployment in the A-7 Corsair. 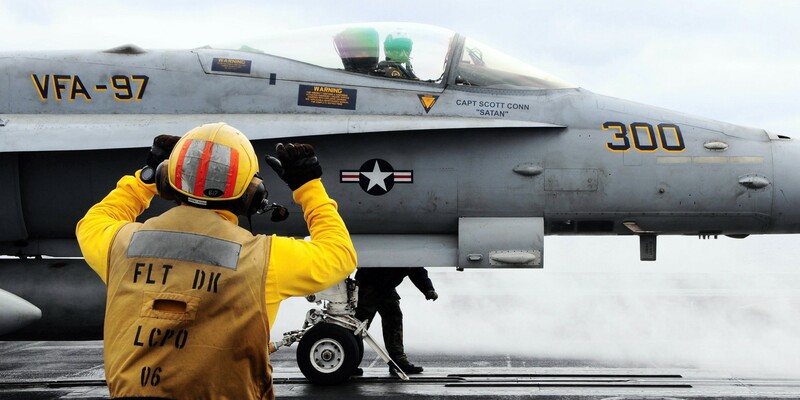 Departing Alameda in February, the CARL VINSON/CVW 15 team participated in "Team Spirit 90" over and around Korea . The WARHAWKS set new records for aircraft availability and performance returning the Corsairs to Lemoore for the last time in July 1990. 1991 was a transition year for the WARHAWKS involving F/A-18 Hornet training for all pilots and maintenance personnel with VFA 25. That summer, the squadron flew to Norfolk, VA with CVW 15 and brought USS KITTY HAWK (CV 63) "around the horn" after it’s SLEP period. During the mini cruise, exercises were flown with the Venezuelan and Argentine Air Force. As 1992 arrived, the WARHAWKS found themselves heavily immersed in work-ups for their fall WESTPAC deployment. During the cruise, the squadron supported United Nations coalition forces by participating in Operation SOUTHERN WATCH in Iraq as well as operation RESTORE HOPE in Somalia . The WARHAWKS arrived back in Lemoore in May of 1993 and after only one month off began preparations for the 1994 WESTPAC deployment. In June 1994, the WARHAWKS began their second Hornet cruise and 17th overall. This was their last cruise as a member of CVW 15. 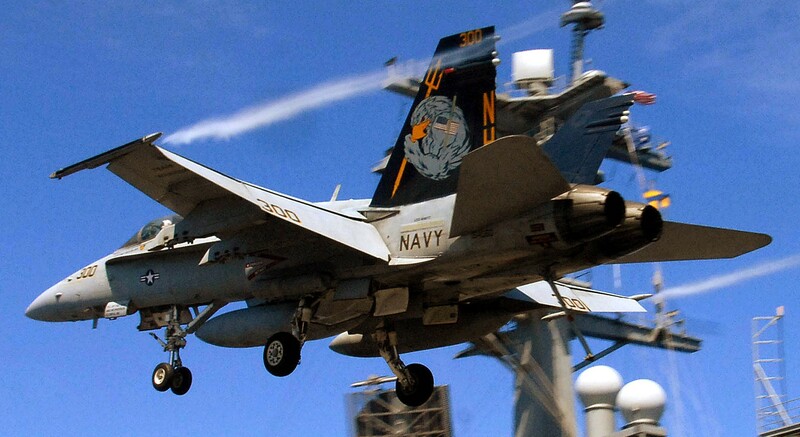 In October 1995 the WARHAWKS joined Carrier Air Wing 11 aboard USS KITTY HAWK (CVN 63). 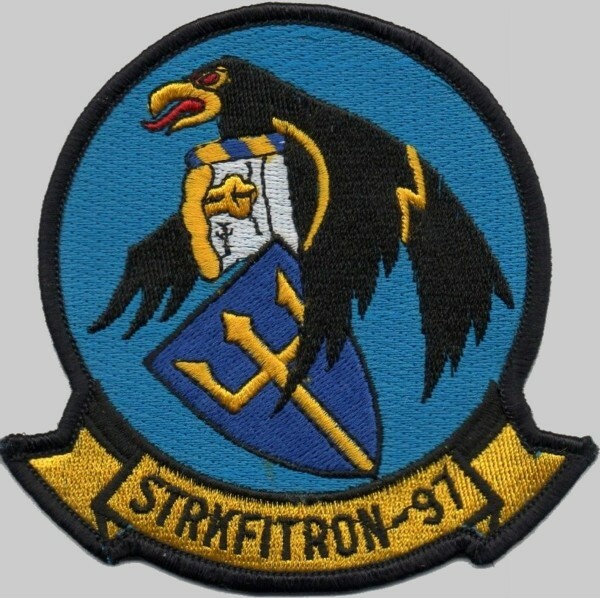 After supporting detachments to NAS Fallon and three at-sea periods including RIMPAC 1996, the WARHAWKS departed 11 October 1996 for WESTPAC 96-97. 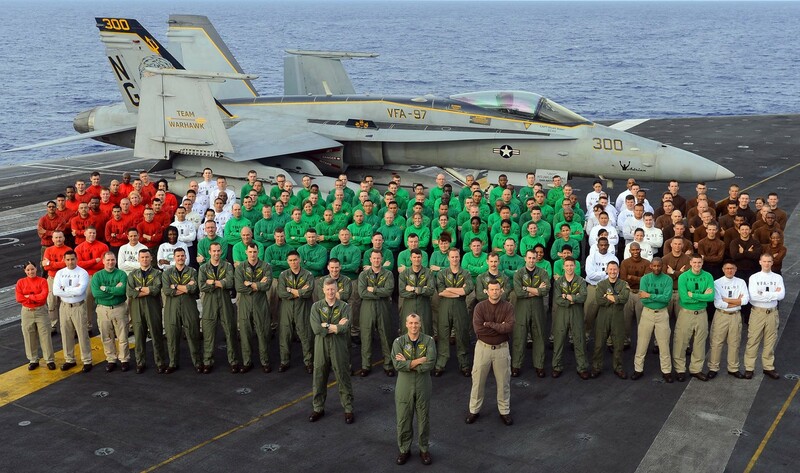 This cruise took them to the Arabian Gulf where they supported the U.N. sanctions against Iraq by patrolling the No Fly Zone, contributing to the squadron being awarded the 1996 Battle "E", the LTJG Bruce Carrier Award for maintenance excellence, and the Scott Kirby Award for ordnance excellence. In December 1997 Carrier Air Wing 11 and the WARHAWKS were assigned to USS CARL VINSON (CVN 70) and began work-ups for WESTPAC. Following two weapons training detachments to NAS Fallon and three at-sea periods including RIMPAC 1998, the WARHAWKS departed November 10, 1998 for WESTPAC 98-99, their 19th deployment. The squadron flew combat missions supporting Operation DESERT FOX and Operation SOUTHERN WATCH. The WARHAWKS returned home in May 1999 to begin their turnaround training for the next deployment. In August 1999 the squadron participated in Exercise SENTRY EAGLE in Klamath Falls , OR and detached to Elmendorf AFB, AK for three weeks for Air-to-Air flight training a month later. 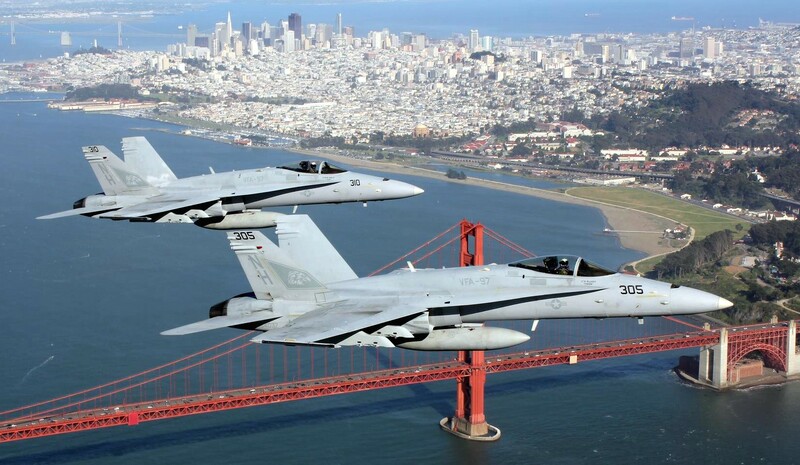 In addition to continuing its turnaround training, VFA-97 teamed with the USS ABRAHAM LINCOLN (CVN 72) in October 1999 to represent the Navy during San Francisco ’s FLEET WEEK. 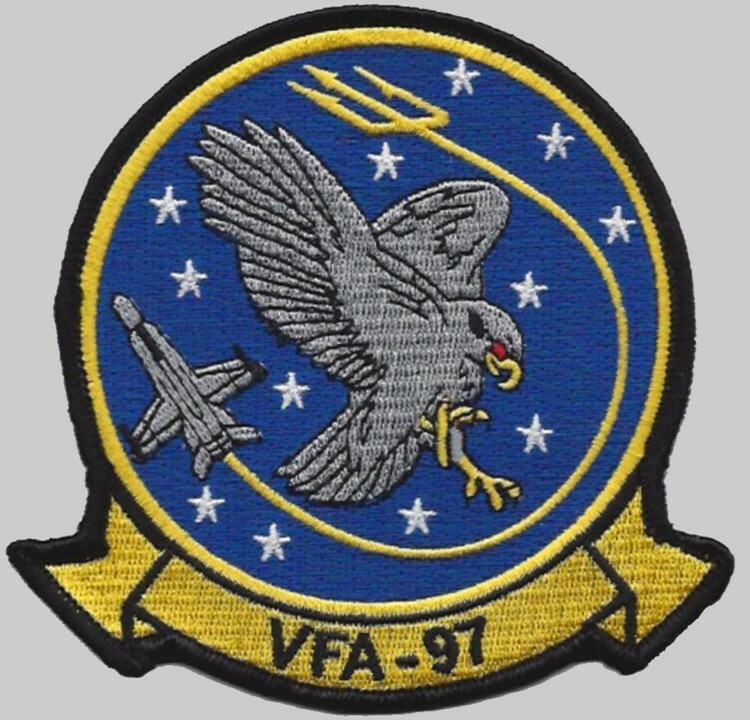 In September of 2000, VFA 97 began to prepare in earnest for WESTPAC 2001. The squadron detached to NAS Fallon, NV for Strike Fighter Advanced Readiness Program (SFARP), then in October participated in TSTA II/III onboard USS CARL VINSON (CVN 70). 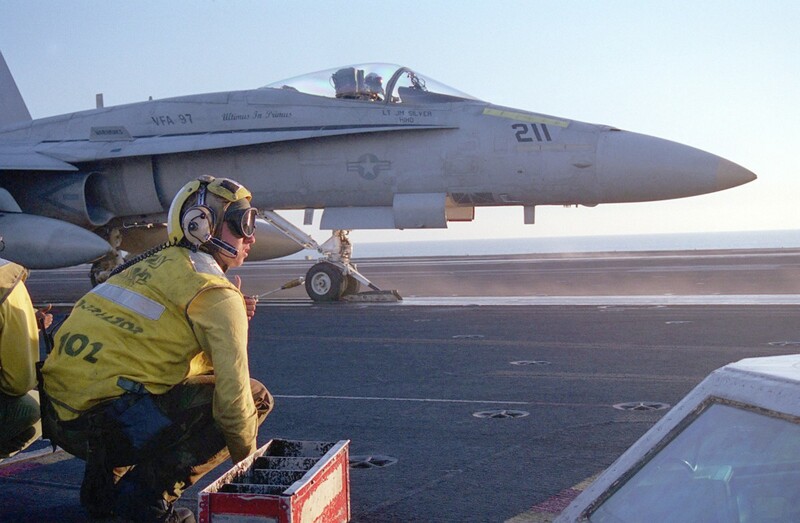 In February 2001, VFA 97 was once again onboard CARL VINSON (CVN 70), this time for COMPTUEX. 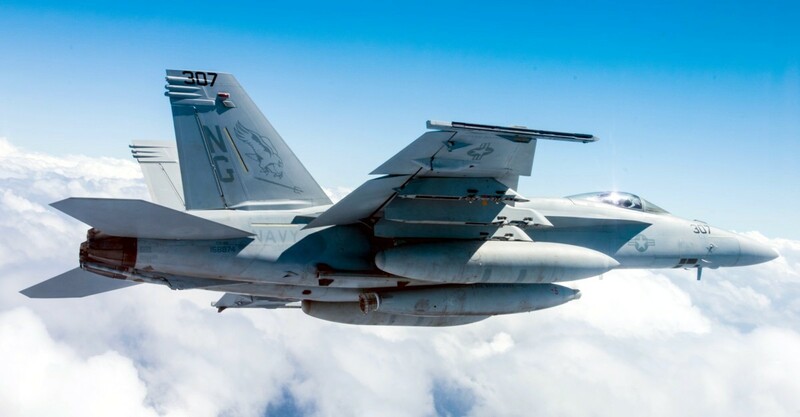 The squadron headed back to Fallon in March for CVW-11 Detachment before embarking on the CARL VINSON again in May for Joint Task Force Exercise (JTFEX). In between the WARHAWKS were once again recognized as having the best Ordnancemen in the business by being awarded the Scott Kirby Award for Ordnance Excellence. As the squadron continued its steady climb toward tactical excellence and mission readiness, 2001 proved to be a banner year. 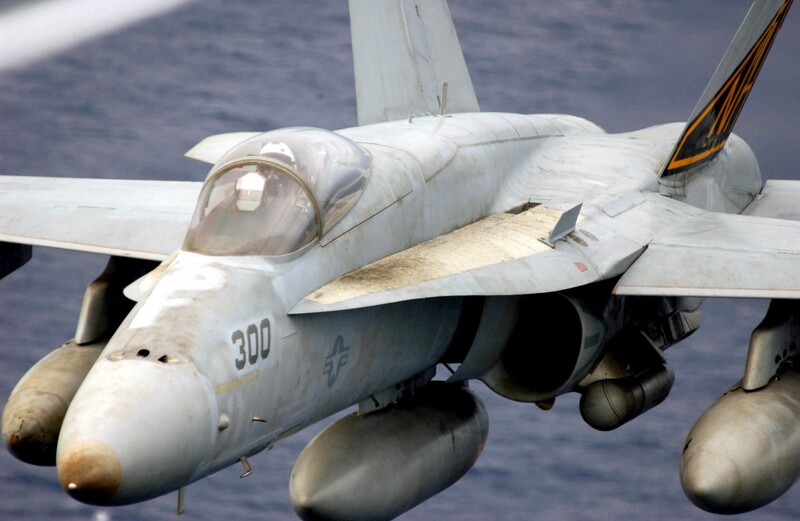 During the high tempo operations of JTFEX/FLEETEX, the WARHAWKS set a new benchmark for the Hornet community by flying over 700 hours with a 94 percent completion rate. 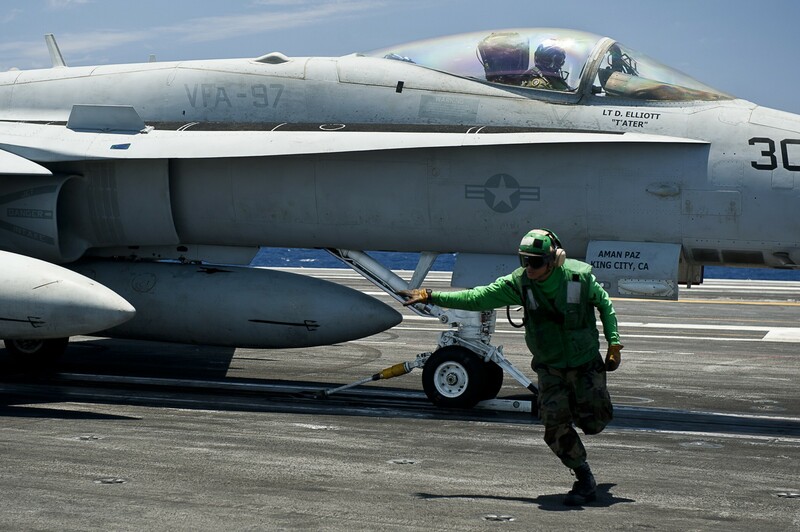 Armed with superb readiness, the squadron deployed in late July onboard the CARL VINSON. After the events of 9/11, the carrier and her air wing rushed to the North Arabian Sea and became the executors of national policy. Team WARHAWK was the tip of the spear and conducted sustained combat operations at an unprecedented rate. The squadron led the air wing with over 3,000 flight hours, 1,340 sorties, and a 99 percent combat sortie completion rate, delivering over 453,000 pounds of ordnance in a ten-week period in support of Operation ENDURING FREEDOM. In addition to leading the air wing in performance over the beach, the WARHAWKS proved they were the best behind the boat as well, sweeping Top Hook honors for the last three line periods and earning the overall Top Hook Award for cruise. 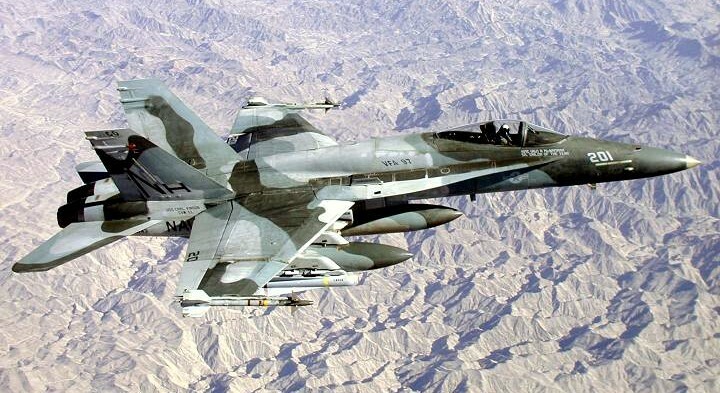 After returning to Lemoore, their efforts were recognized with the 2001 Battle “E” for being the most tactically proficient Hornet squadron on the West Coast (including Japan ). They were subsequently selected as the winner of the 2001 Captain Michael J. Estocin Award. (Captain Estocin, USN, distinguished himself in combat during the Vietnam War and was posthumously awarded the Congressional Medal of Honor. This annual award is sponsored by the Boeing company and recognizes meritorious achievement by a strike-fighter squadron.) Further, they again received the Safety “S”, resulting in another triple-crown achievement for the WARHAWKS. 2003 was again a transition year for the WARHAWKS. 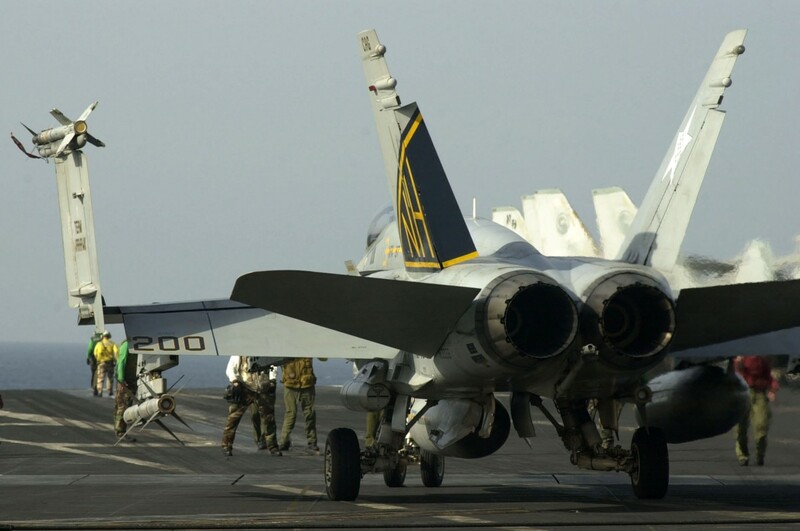 The squadron was assigned to the 5th Fleet aboard USS NIMITZ (CVN 68) and flew combat sorties in support of Operation IRAQI FREEDOM. They also flew sorties with the Royal Oman Air Force in support of Beacon Flash. 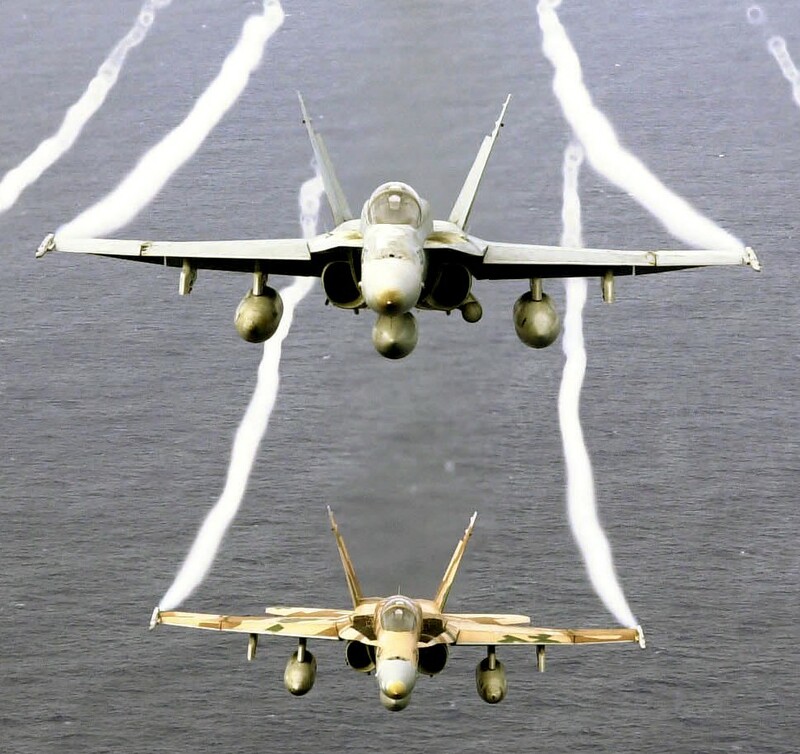 At years end the WARHAWKS returned to NAS Lemoore and transitioned from the F/A-18 Alpha to the F/A-18 Charlie. VFA 97 also began preparation for their upcoming Unit Deployment Program (UDP) deployment. The WARHAWKS began 2004 training for their 22nd deployment. 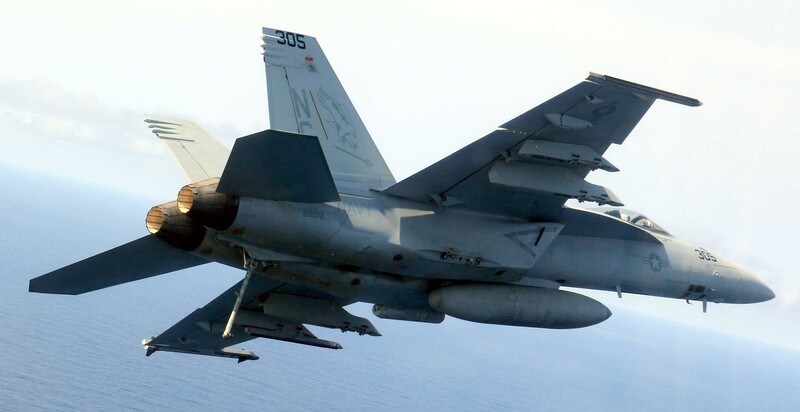 After detachments to Savannah and Miramar for a CAX exercise, the WARHAWKS deployed to MCAS Iwakuni Japan , becoming the Navy’s first FA-18 UDP squadron. While deployed, the WARHAWKS participated in numerous exercises including TITP with the Royal Thai Air Force, Operation Keen Sword with the Japanese, and “Beverly Midnight” with the Koreans. After returning to Lemoore in the Spring of 2005 the WARHAWKS continued their high tempo training. VFA-97 detached to Elmendorf Alaska to conduct large force exercises with the Air Force, then began to prepare for SFARP in Fallon. 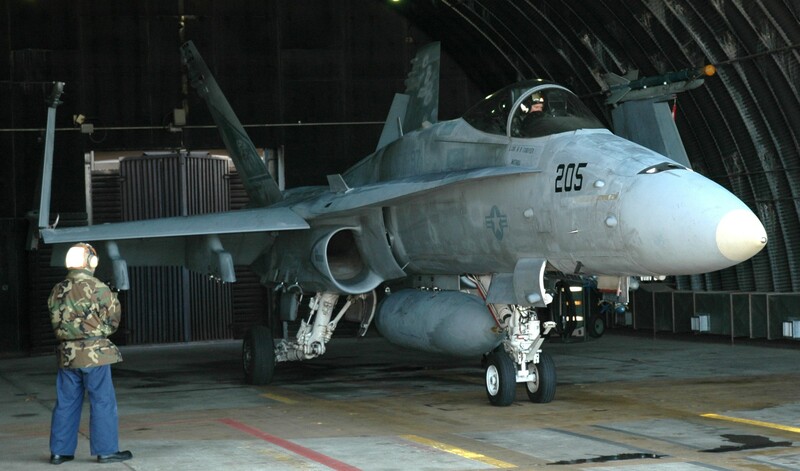 During 2006, VFA 97 had flown 3,932 hours and expended over 430,000 pounds of ordnance, while flying the oldest FA-18C Hornets in the fleet, executed a near perfect second UDP deployment and successfully managed a tri-sited detachment situation while producing a 100% sortie completion rate on two of the detachments. 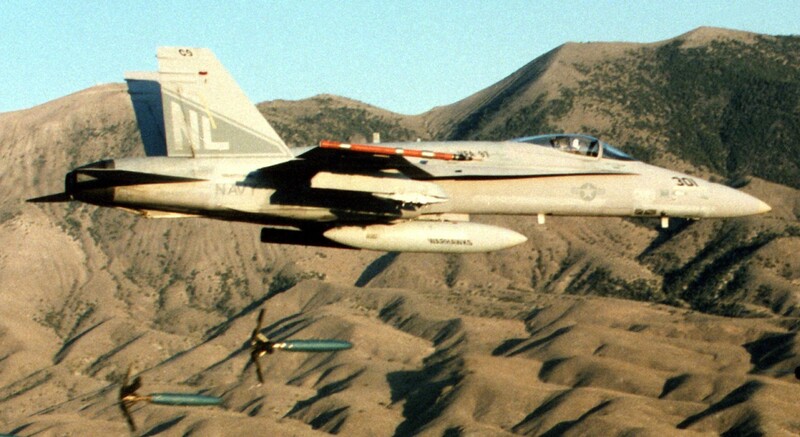 “Team Warhawks” efforts paid off when the command was recognized with the 2006 Battle “E” for being the most operationally efficient Hornet squadron on the West Coast (including Japan) and winner of the 2006 Captain Michael J. Estocin Award for meritorious achievement by a strike-fighter squadron. 2007 brought the WARHAWKS from one side of the country to the other and back to the boat. In March, the WARHAWKS went on detachment to NAS Key West, FL, via a six-hour transit across the country. While there, the pilots continued to hone their skills in the air-to-air arena. In June, VFA-97 began preparations for their next deployment by completing SFARP at NAS Fallon, NV. 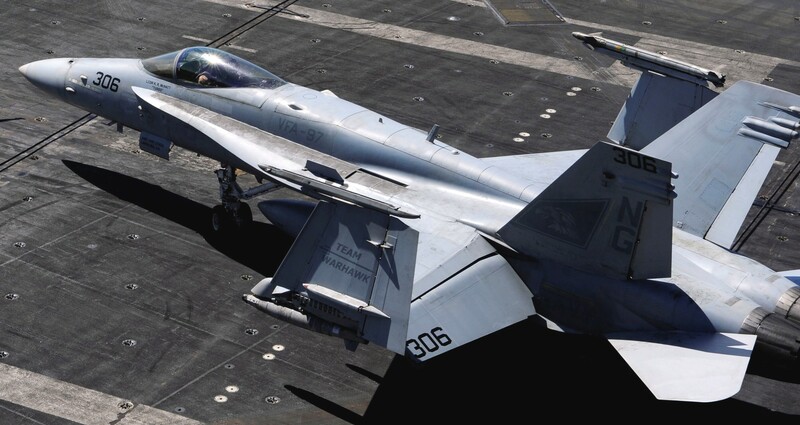 In September the WARHAWKS sent a small detachment to the USS Abraham Lincoln to begin training for their eventual return to the carrier air wing. The WARHAWKS successfully regained currency for all pilots that will deploy with the squadron in 2009. 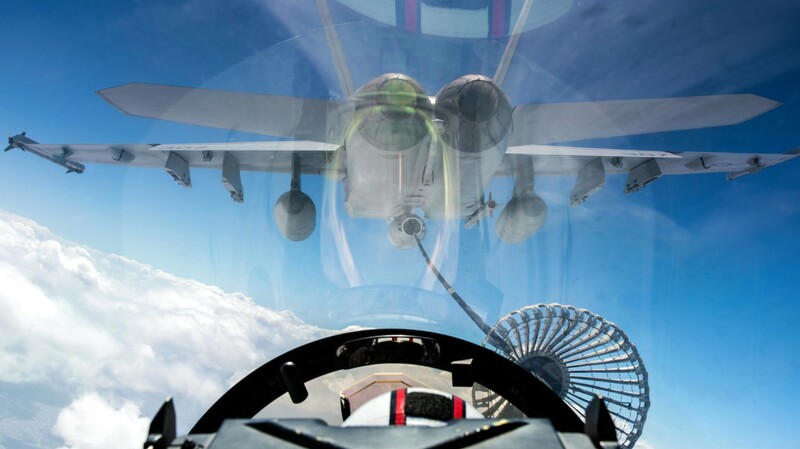 In November, the squadron deployed to MCAS Miramar, where the pilots continued to hone their air-to-ground skills, utilizing numerous different types of ordnance. The WARHAWKS deployed to MCAS Iwakuni, Japan for their 3rd and final Unit Deployment Program WESTPAC and 24th overall deployment in January 2008. 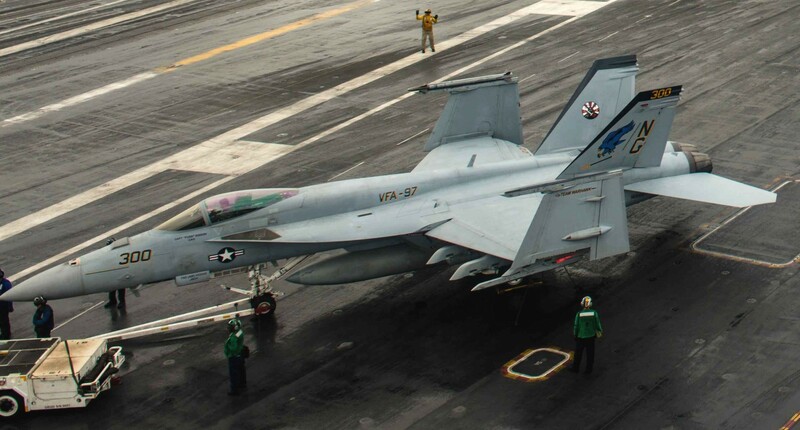 After returning to NAS Lemoore, the squadron began a compressed turnaround returning to Carrier Air Wing 11 and subsequent deployment onboard USS NIMITZ. CY08 marked the WARHAWK’S return to traditional carrier aviation. 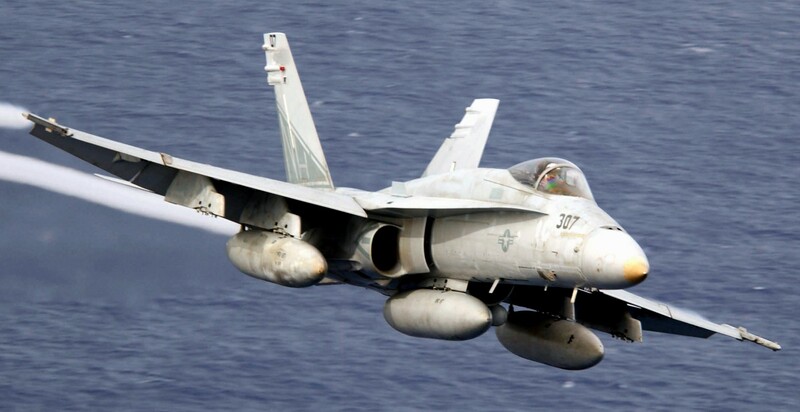 In order to bring their aircraft and systems up to a combat ready status, the WARHAWKS accepted 10 Lot 12 F-18C aircraft, and began to groom them for combat. On average, each aircraft had 6600 hours and approximately 1800 traps. 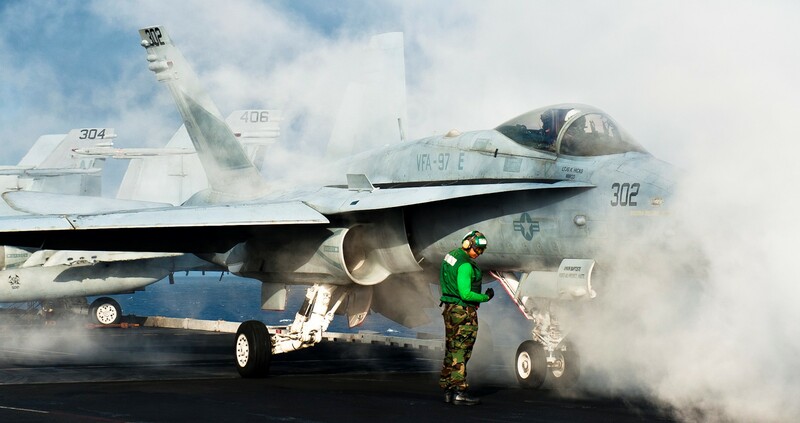 In addition to returning their aircraft to carrier aviation, the squadron also faced the challenge of returning their personnel to shipboard life. 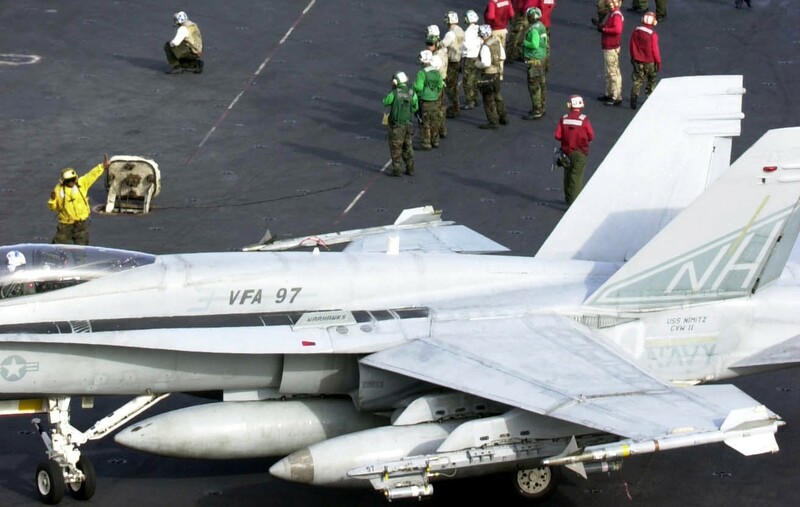 The WARHAWK’S return to carrier life began aboard the USS STENNIS in September of 2008 when pilots and maintenance personnel embarked on CVN-74 for a 2-week refresher on the carrier environment. 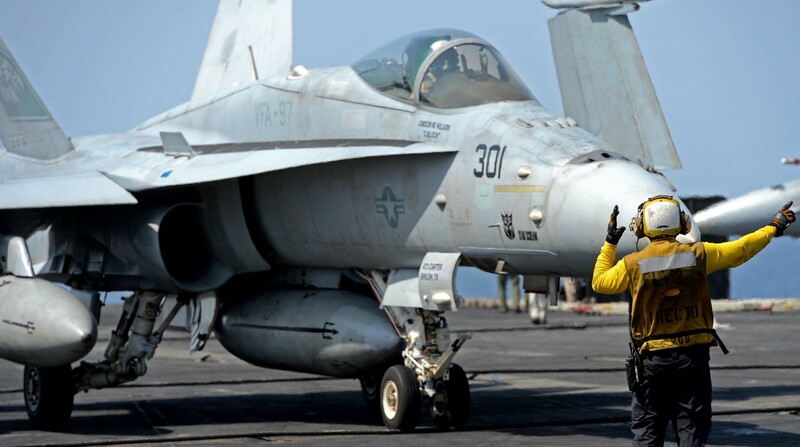 For the senior pilots, the detachment to USS Stennis served to readjust them with carrier-arrested landings. 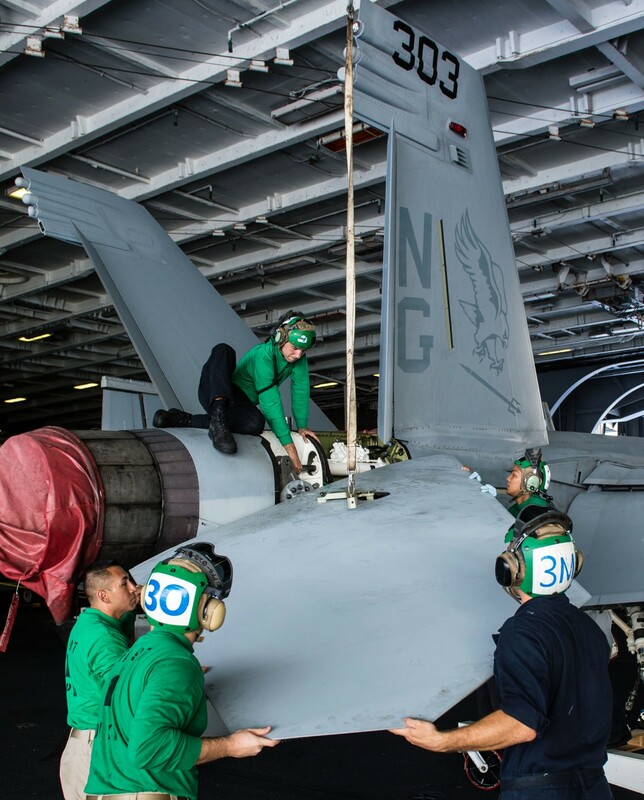 For new pilots, the trip to the USS STENNIS was the first time they’d been back to the ship since their initial Fleet Replacement Squadron (FRS) training in Carrier Qualification. The WARHAWKS stepped-up to the challenge set before them and exceeded all performance expectations, qualifying all pilots. 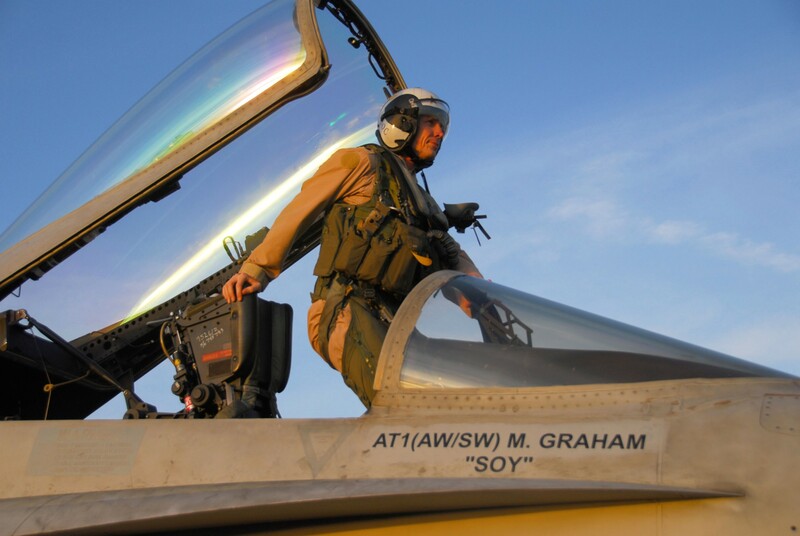 The WARHAWKS started Strike Fighter Advanced Readiness Program (SFARP) at the end of October 2008, marking the beginning of a workup cycle in preparation for a summer deployment in 2009. By December, all but a few WARHAWKS had detached to Fallon, Nevada for the graduate level phase of SFARP. Battling cold conditions and the growing pains associated with making combat-ready jets, the WARHAWK maintenance team performed masterfully in adverse conditions. 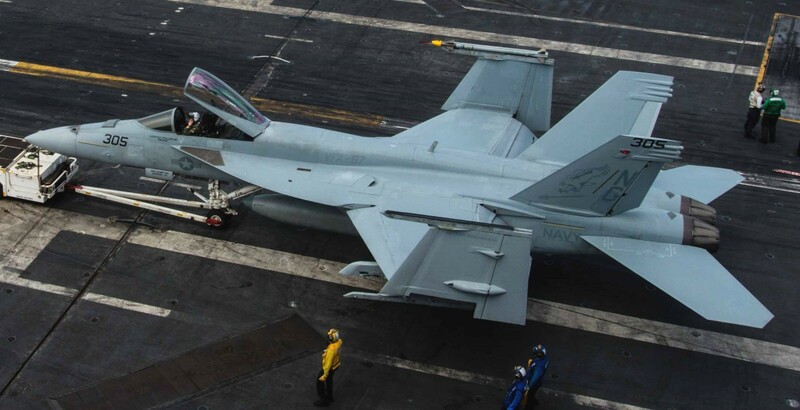 After returning to Lemoore in time for Christmas, the WARHAWKS spent the majority of January in the Field Carrier Landing Practice (FCLP) pattern, putting the finishing touches on their aircraft and pilots for their return the USS Nimitz (CVN 68). In February 2009, the WARHAWKS embarked on the Nimitz, officially ending their 5-year departure from a Carrier Air Wing. Tailored Ships' Training Availability (TSTA) presented new and exciting challenges to the WARHAWKS in February as pilots and maintainers alike honed their shipboard skills. Sea states and weather made flying difficult as junior pilots struggled to adapt to the harsh conditions off the coast of Southern California. The skills learned when flying in such conditions, however, would prove invaluable as the Warhawks prepared to get their coveted “Blue-Water” certification. The WARHAWKS returned to Lemoore at the completion of TSTA, but their homecoming would be short-lived as they would soon depart for Air Wing Fallon only two weeks later. April brought slightly better weather to NAS Fallon as the WARHAWKS hunkered down for the most complex flying problems yet. Air Wing Fallon exists to bring together all aspects of the CVW-11 Barbed Wire team, including actual Hawkeye control from VAW 117 and Search and Rescue (SAR) training missions from HS 6. 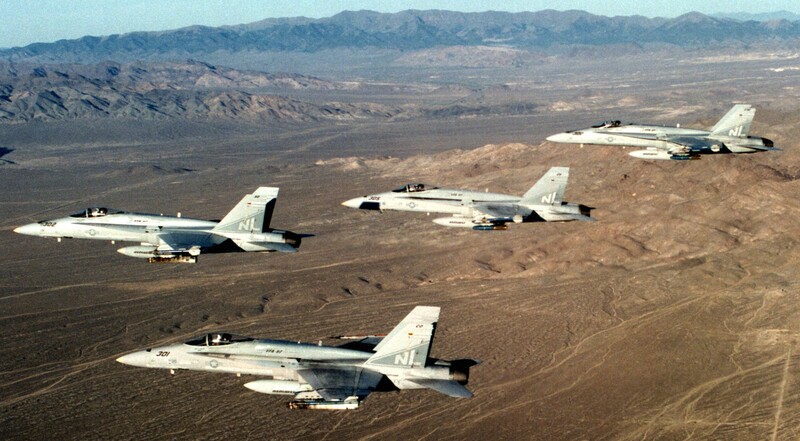 Some exercises would include approximately 50 different aircraft, including simulated threat aircraft provided by professional adversary squadrons at Fallon. 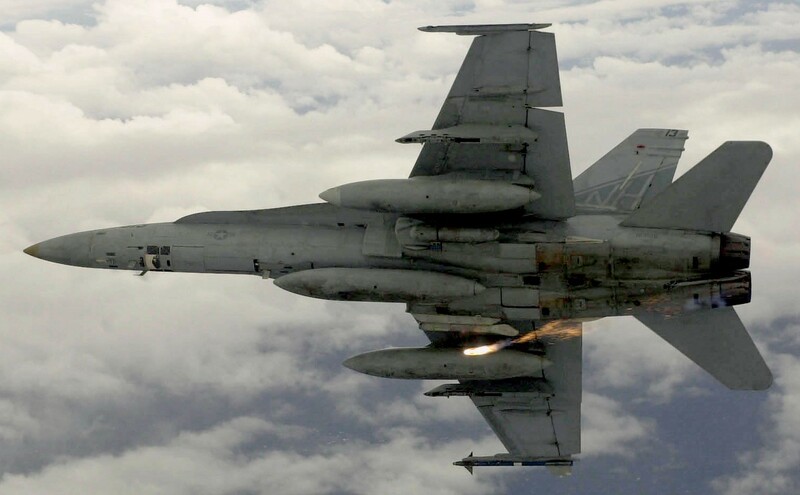 CVW 11 was fortunate to be one of the first Air Wings to receive a slightly modified syllabus, which focused less on a cold-war era threat and centered around training for Close Air Support (CAS) scenarios. 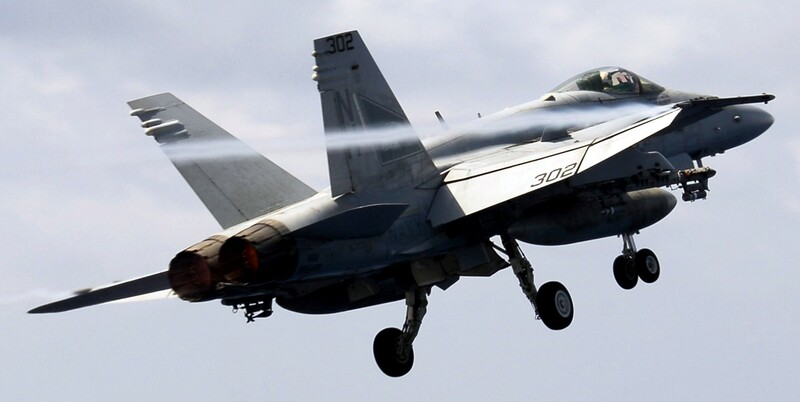 The training CVW-11 received in Fallon was crucial considering that the Airwing found itself flying combat mission in direct support of ground forces the following September. The final stage of work-ups is called COMPTUEX or Composite Training Unit Exercise. COMPTUEX, held in May of 2009, resembled Air Wing Fallon with the exception that it took place onboard USS NIMITZ. By May, the Airwing had found its rhythm and operated with the smooth reliability of a Swiss timepiece. Still, one of the key goals of COMPTUEX is to prove that the Airwing can operate independent of ground based support facilities. 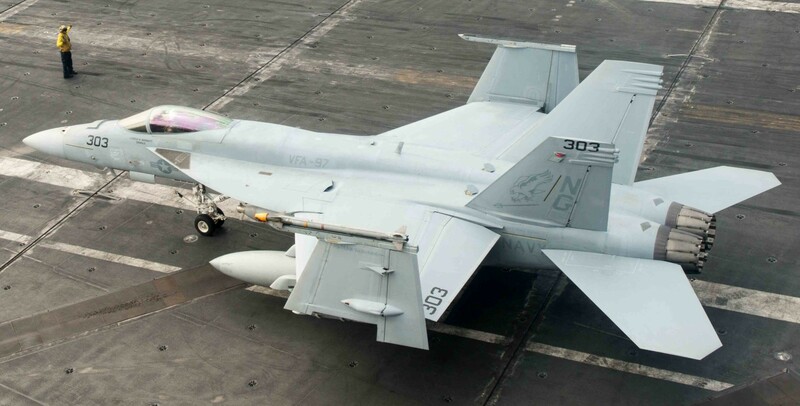 Since the USS NIMITZ would soon steam into water where diverting aircraft wasn’t an option, the Airwing would require a “Blue Water” certification; which they received quietly and well ahead of schedule during COMPTUEX. July brought bittersweet emotion to the WARHAWKS since it represented a departure from home, and the beginning of what would become an eight-month Western Pacific (WESTPAC) deployment. Spirits were high and the atmosphere onboard USS NIMITZ was electric as CVW 11 steamed West to combat. The WARHAWKS made brief stops in Japan and Singapore before continuing their journey to 5th Fleet. On September 17th 2009 combat operations came as expected and the WARHAWKS were ready. Days turned into weeks, and weeks to months, while the WARHAWKS demonstrated their unwavering ability to be quiet professionals, humbly accomplishing the mission without fanfare or glamour. The WARHAWKS’ stoic approach to warfare resulted in an impressive 98 percent sortie completion rate while delivering 5,280 lbs. of ordnance in direct support of Operation ENDURING FREEDOM. 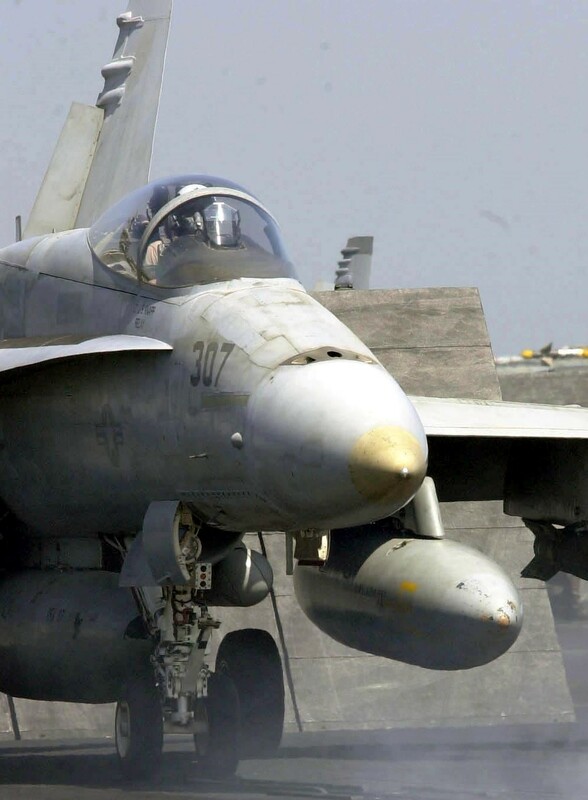 In October 2009, the WARHAWKS sent two F-18s and three pilots to Cairo, Egypt to participate in exercise BRIGHT STAR. This annual exercise is the largest of its kind in the Middle East, bringing together forces from the United States, Pakistan, Egypt, and Turkey. The WARHAWKS’ diplomatic and professional demeanor ensured that the exercise was an overwhelming success and served to strengthen the ties between the United States and the participating nations in the Middle East. 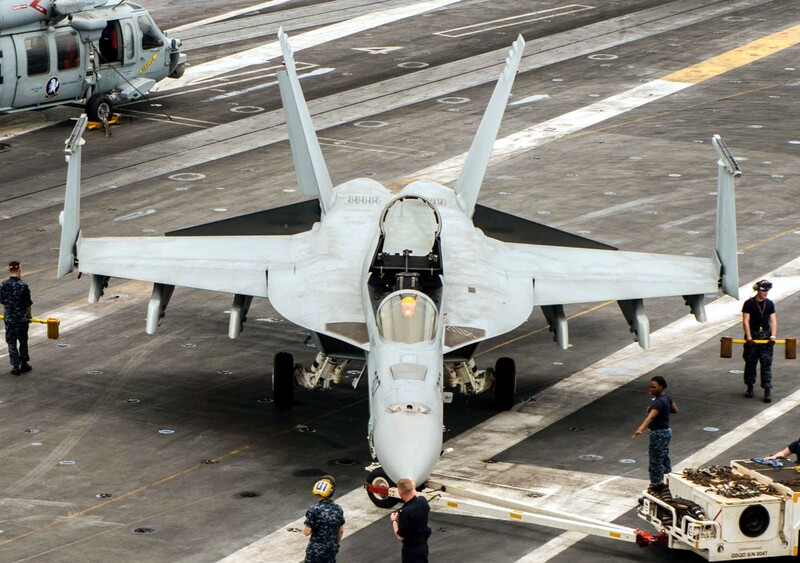 Nevertheless, the most impressive aspect of the exercise is the fact that the rest of the WARHAWKS on the USS NIMITZ were able to maintain the same sortie count despite reduced manning and assets, and stands as a testament to the abilities of WARHAWK maintainers to do more with less. 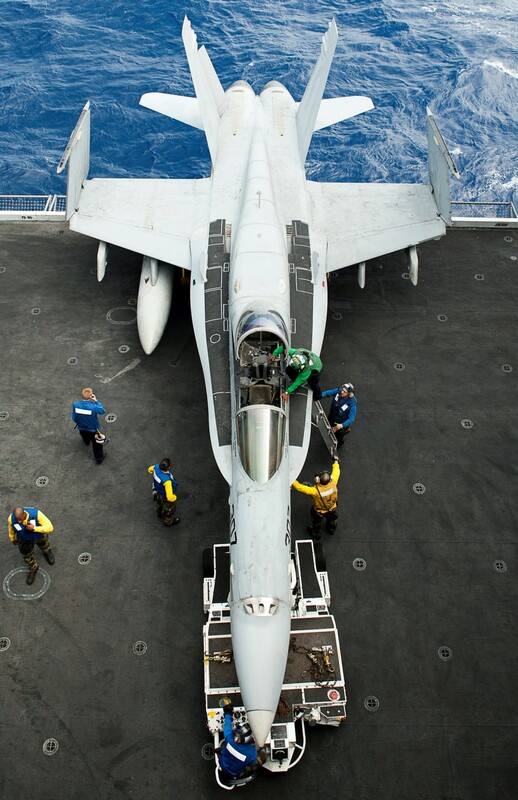 In late 2013 VFA-97 started transitioning to the F/A-18E Super Hornet and as of 2015 was operational. According to Navy Times, "The first F-35 fleet squadron is slated to start training with VFA-101 in January 2018. That's slated to be the Warhawks of VFA-97..."